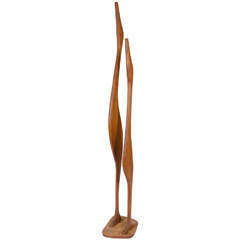 Sorry, Modern Italian Wooden Sculpture Handmade - Renata is not currently available. Murano style clear glass abstract sculpture. 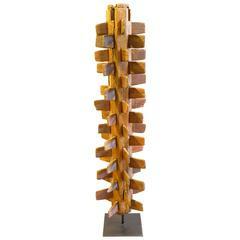 In the form of a twisted knot, signed Anatra on base. 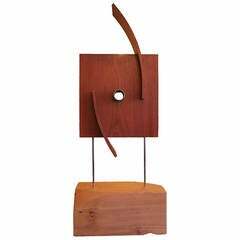 Height: 24 in., width: 8 1/4 in., depth: 4 1/4 in. 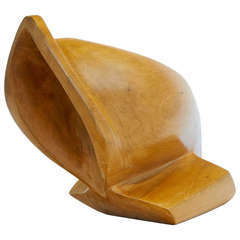 A vintage Danish modern carved wood sculpture of two birds. Good vintage condition with age appropriate wear. A few nicks to wood. 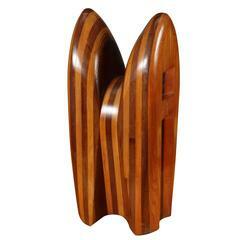 A custom wooden sculpture by Cuban artist Cervino.